Diane Sim reports on a very strong quarter for the Charity 250 Index and takes a closer look at the representation of schools in the Indexes. 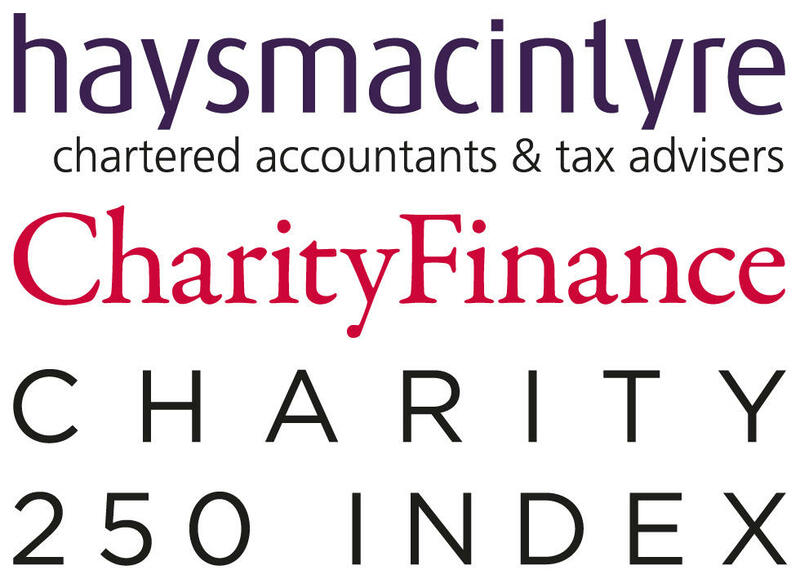 The top performing charity in this month’s review of the haysmacintyre / Charity Finance 250 Index is the Thalidomide Trust, which has more than doubled its annual income to £52.2m in the financial year ending 30 September 2017. The increase results from a near quadrupling to £39.4m of donations from Diageo, owners of the Distillers Company (Biochemicals), which distributed the Thalidomide drug to pregnant women in the late 1950s and early 1960s, resulting in disabilities in their children. The funding includes a one-off payment of £27m intended primarily to meet the capital costs incurred by beneficiaries moving or adapting their homes to reflect their changing needs. “All our beneficiaries are now in their 50s and, as they age, are experiencing multiple health problems which seriously impact on their quality of life and their ability to remain fully independent,” comments Thalidomide Trust chair Sir Robert Nelson. The Diageo donation was paid under the terms of a deed of covenant dated 12 July 2012, which pledged to enable to Trust to double the “annual grant” it pays out to beneficiaries each year. With this now achieved, a new deed of covenant, which comes into effect this year, will ensure that the annual grant rises in line with the Retail Price Index. Another strong performer in the quarter under review is the Watch Tower Bible and Tract Society of Britain, which reported a 79 per cent increase in income to £88.8m in the year to 31 August 2017. This was due to voluntary and legacy income more than doubling to £60.1m and income from charitable activities increasing by 33 per cent to £28.2m. The charity’s objective is to advance the Christian religion as practised by Jehovah’s Witnesses and its funds are used for building places of worship, providing religious literature and assisting with disaster relief. Since 2015, Watch Tower has been engaged in the construction of a new headquarters for Jehovah’s Witnesses in Chelmsford. This is being paid for by a separate charity with similar objectives, namely the International Bible Students Association (IBSA), which is also a member of the Charity 250 Index. Two other strong performers, which each report income gains of over 20 per cent, are Bromsgrove School and youth charity Catch22, though these largely result from acquisitions. Bromsgrove School reported a 26 per cent rise in income to £41.1m in the year to 31 August 2017. The main contributor to this was the acquisition of Winterfold House School, which took effect on 1 September 2016 and added £3.3m to the statement of financial activities (SoFA). Income from school fees also rose by a healthy 15 per cent, though this mainly reflects the new fee income from almost 300 pupils transferred from the acquired school. Catch22 reported a 22 per cent increase in income to £57.3m in the year to 31 August 2017. The conversion of Torbay School to academy status and its acquisition by Catch22’s Multi Academies Trust in April 2017 added £3.5m to its SoFA. Similarly, the acquisition in February 2017 of Community Links, a social action charity based in East London, added £1.9m. Setting aside one-off amounts such as these, the trustees note an 11 per cent rise in income, to £51.9m, reflecting growth in core areas including education, children’s services and delivering the National Citizens Service. Schools are the most well represented sector in the Charity 100 and Charity 250 Indexes and account for 17 per cent of the 350 member charities. They also account for two-thirds of charities reporting their results in the third quarter, making a review of the sector’s performance timely. Schools included range from the large school groups in the Charity 100 Index such as the United Church Schools Foundation and the Girls’ Day School Trust (GDST), with annual income of £357.7m and £258.0m respectively, to individual schools in the Charity 250 Index with annual income of £23.1m and above. Most of the schools represented in the Indexes are independent schools, as academies are not eligible for inclusion. There are, however, some mixed groups such as the United Church Schools Foundation and GDST, which manage both independent schools and academies. As a group, the 58 schools represented in the Charity 100 and Charity 250 Indexes have performed reasonably well in their most recent accounts: three-quarters report increased income, with the balance reporting no change or income falls. The biggest rise, reported by the aforementioned Bromsgrove School, was 26 per cent, thanks largely to a similar increase in fee income. Meanwhile, the largest fall was the 9 per cent reported by Harrow School, which was mainly due to a 45 per cent drop in voluntary income to £9.2m. The median annual change for the group as a whole, which has stayed the same over the last year, is a 4 per cent increase. Of course, the major source of income for independent schools is fees, which average over 90 per cent of income at those represented in the Charity 100 and Charity 250 Indexes. Concerns about the affordability of fees that emerged after the 2008 financial crisis have not really subsided. Findings from haysmacintyre’s recent Independent Schools Management Survey 2018 show that fee increases at independent schools averaged 3.4 per cent in 2017/18, compared to 3.2 per cent in 2016/17. “The average increase in 2017/18 may represent a slight increase on the previous year, but they are the two lowest increases applied over the last 17 years,” comments haysmacintyre’s head of education Tracey Young. “In recent years schools have experienced growing cost pressures in areas such as teachers’ pensions, employers’ national insurance contributions, auto-enrolment for support staff, rising building costs and public benefit activities, and increasingly onerous compliance obligations. However, cost control in other areas, most notably by restricting inflationary pay awards, has enabled many schools to limit their fee increases,” says Young. Going forward, schools will continue to face the balancing act of ensuring fees remain affordable to sufficient number of parents while covering overheads. According to Young: “There are a number of pressures facing schools including the ongoing affordability debate, political threats which could result in VAT on school fees, and changes to business rates relief as well as rising costs. Further costs are anticipated with increases to teachers’ pension contributions for employers from September 2019, increases in employers’ contribution rates for support staff and rising interest rates increasing the cost of borrowing. There is something positive to be taken from haysmacintyre’s finding that overall pupil numbers have increased between 2015/16 and 2017/18. However, the situation for individual schools is mixed: some report significant increases in pupil numbers while others report sharp declines. The mergers and closures seen in recent years are therefore likely to continue.